We’ve just completed our 2015 Exhibition! It went very well with lots of admiring visitors. Choosing a winner to vote for in the Viewers Choice Award was nearly impossible but the worthy winner was Dianne Clarke for her Framed Tapestry of a vase of flowers. 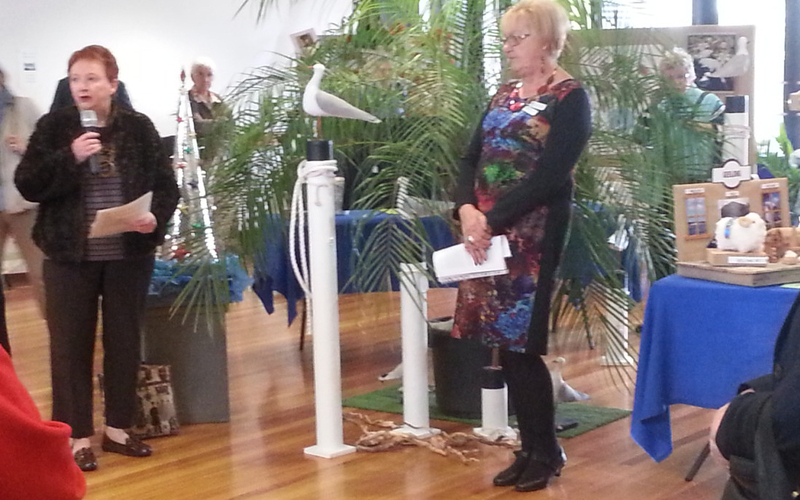 The Exhibition Committee lead by Sue Patterson did a wonderful job to produce and run the show so successfully. Hope they have their feet up for a little while! This entry was posted in Displays/Exhibitions and tagged Challenges, exhibitions, Peoples' Choice, Raffles by EGV Geelong Admin. Bookmark the permalink.